Welcome to one of the liveliest parts of Corfu. Ipsos is a buzzing location, situated on the north east of Corfu, just 14km away from Corfu town. This bustling destination is full of life and youthful energy. Though it is known for offering stimulating experiences and a thrilling nightlife, Ipsos does not fall short on offering more serene choices for those seeking a peaceful and relaxing time, especially on the edges of the resort, as well as in the villages lying behind the main road. Ipsos is home to pubs and busy bars, while there are also quite a few nightclubs in the region. The main road that runs across Ipsos features a wide variety of shops, cafes and bars as well as lots of restaurants and various dining choices. 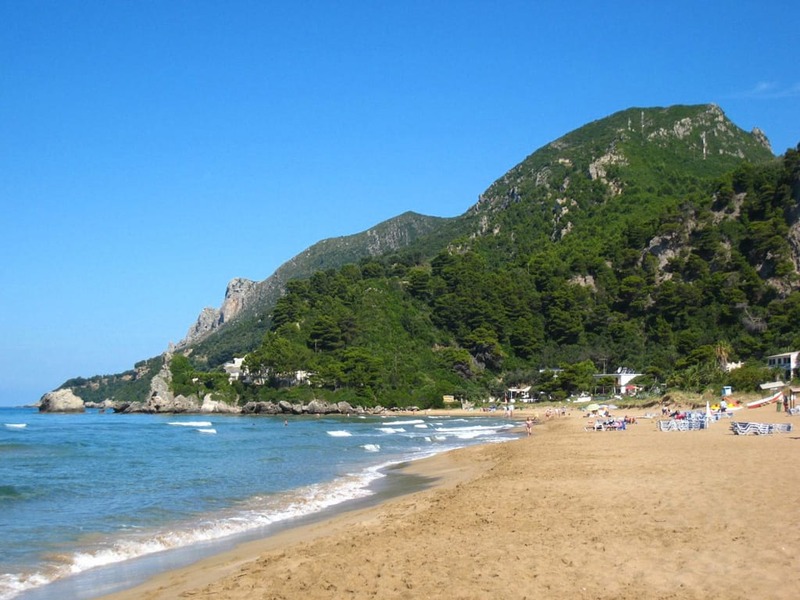 This main road separates the innermost part of Ipsos, and the villages located on the hills, from the beach. 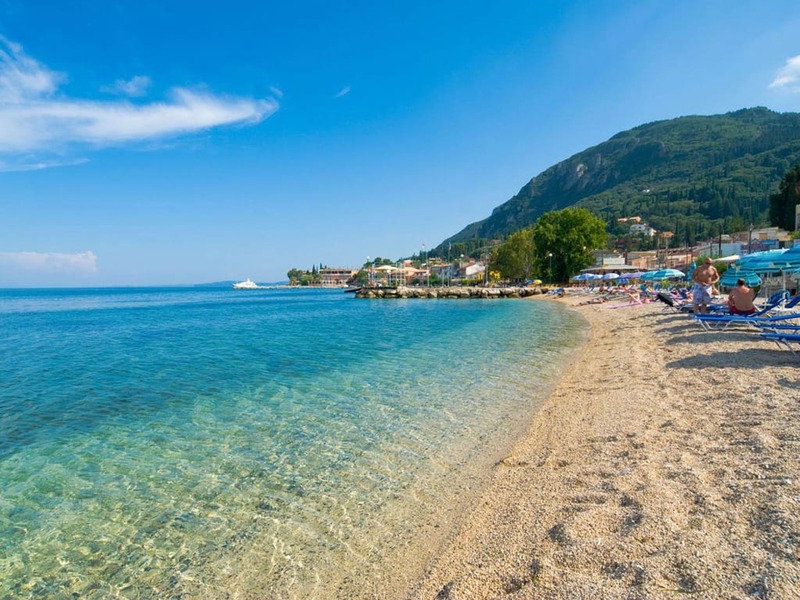 The seafront of Ipsos is long and narrow and opens to clear waters surrounded by pebbled beaches. 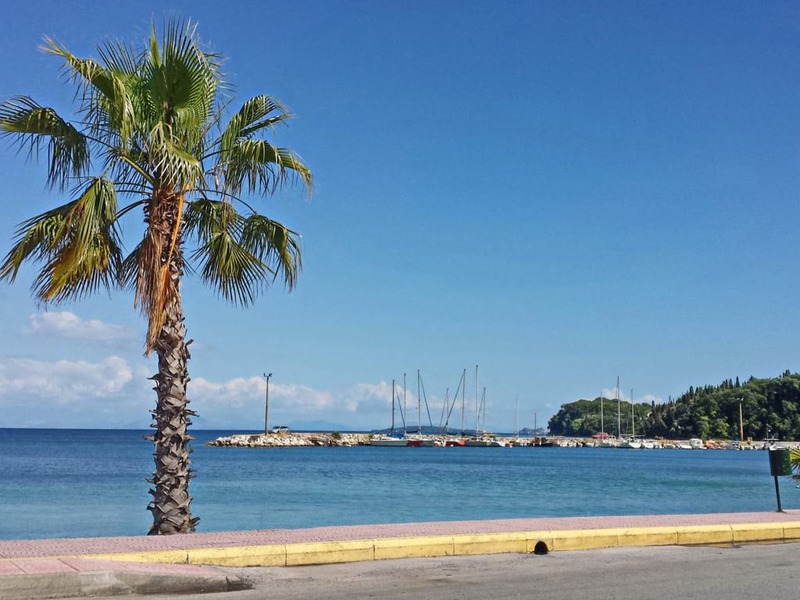 On the southernmost side, the strip of Ipsos curves to a small marina, perfect for a quiet afternoon walk to enjoy the natural setting and the views to Corfu town. 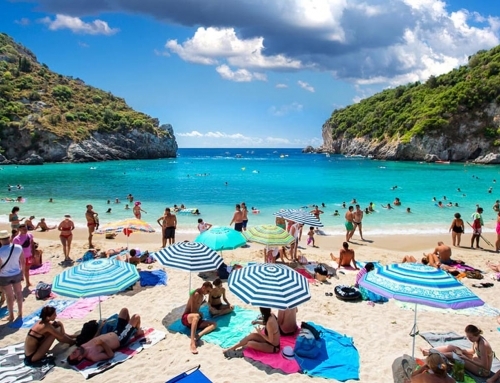 All along the coastline you can find organized beaches that offer sun beds and shaded spots where you can enjoy a refreshing beverage and cover from the Ionian and all other kinds of beach and water sport facilities. If you want to distance yourself from the buzzing feeling pounding in the heart of Ipsos, you can choose to visit one of the nearby villages. Follow one of the steep roads leading uphill from the main road and you can even reach mount Pantokrator, the highest peak of Corfu. Impressive though the scenery may be, what is most likely to catch your attention in Ipsos is the busy nightlife and the openness of its people. But even if you choose to drive away from this lively ambiance in one of the peaceful nearby towns or the edge of the marina, Ipsos is sure to offer you a good time.